PRIDE Championship CEO Nobuyuki Sakakibara has announced the new promotion, “Rizin Fighting Federation”, during a press conference from Tokyo this week. The greatest heavyweight in mixed martial arts history, Fedor Emelianenko, will be headlining the inaugural event. No opponent has been announced yet for Fedor, however rumor has it that he will be fighting Indian-Japanese heavyweight kickboxer Jaideep Singh. The promotion has also announced two female competitors, Gabi Garcia and Rena Kubota. “Rizin Fighting Federation” will feature a two-night event in December, with one event on Dec. 29, and the other on Dec. 31. 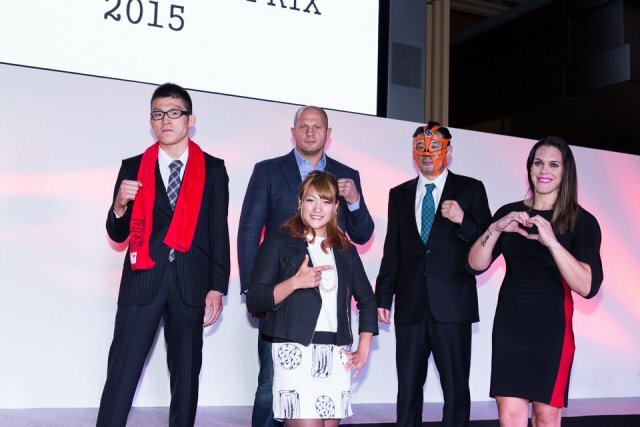 The two-night event will be called the “Rizin Fighting World Grand Prix 2015”. These fights will take place at the former home of PRIDE, the Saitama Super Arena. As we’ve known for a while now, the event will air on Spike TV via Tape Delay. Also confirmed by Sakakibara was that the event will indeed take place in a ring and feature the former PRIDE rules. The grand prix will co-promote with Bellator MMA, KSW, BAMMA, Jungle Fight and King of Kings.